See more objects with the tag architects, art, documentation, stairs, house, photography, construction. See more objects with the color rosybrown silver darkslategrey dimgrey or see all the colors for this object. 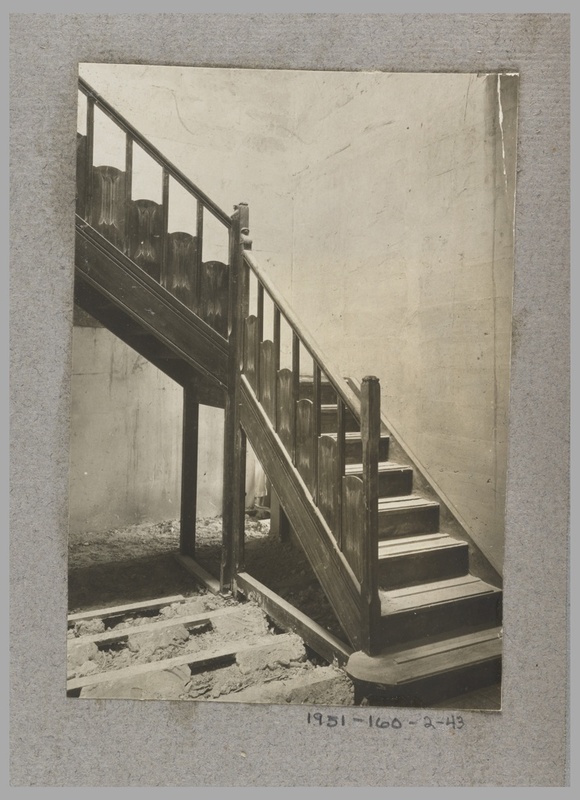 This and 47 other objects are a part of a set whose first object is Photograph, Photograph of the Construction of a Mass-Operational House Designed by Hector Guimard (No.1). This is a Photograph. It was architect: Hector Guimard. It is dated 1921 and we acquired it in 1951. Its medium is photographic print on sensitized paper mounted on gray paper. It is a part of the Drawings, Prints, and Graphic Design department. This object was catalogued by Karin Zonis. It is credited Gift of Mme. Hector Guimard.